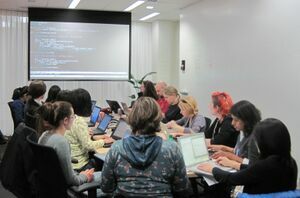 Welcome to the fourth Boston Python Workshop: a project-driven introduction to Python for women and their friends! This workshop is running on the evening of Friday, September 30th, and all day Saturday, October 1st at MIT in Cambridge, MA. 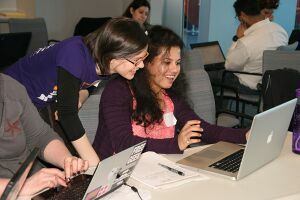 To attend the workshop, please through the Boston Python Meetup. You'll need to create a Meetup account to RSVP. If you RSVP and then decide that you aren't attending, please update your status through the Meetup interface so we can notify someone from the waitlist. You must be able to attend both days of the workshop to participate. We do recommend you sign up for the wait list. If spots open up, Meetup.com will let you know. Also, we try to send notices to wait-listers about future workshops before they fill up. Saturday morning setup, 9:30am-10am: settle in, get your laptop set up, and review Friday's material. We will start the lecture promptly at 10. If you have questions about the event, please get in touch with us by sending mail to bpw-staff@lists.openhatch.org. MIT is hosting this event. On Friday, we'll be in room 4-149. That's MIT-speak for "building 4, room 149 on the 1st floor". See this map of campus for where building 4 is. On Saturday, we'll be in room 32-155. See this map of campus for where building 32 is. Building 32 is a distinctive building also known as the Stata Center. The closest T stop is the Kendall T stop on the Red Line. The closest bus stop is the 84 Massachusetts Avenue stop on the #1. There is paid garage parking at 5 Cambridge Center and at 1 Kendall Square (by the Kendall Square Cinema). If you need help making childcare arrangements to be able to attend this workshop, please get in touch with us. 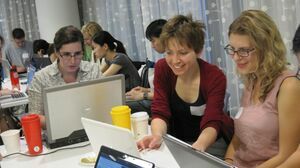 The Boston Python Workshop runs under the auspices of the Boston Python Meetup, which you can find on Twitter as @bostonpython. We use the hashtag #bospythonworkshop. This page was last edited on 1 October 2011, at 19:17.